Presair’s pneumatic foot switch extension cord is a great solution in wet and other hazardous environments, like pet grooming systems. 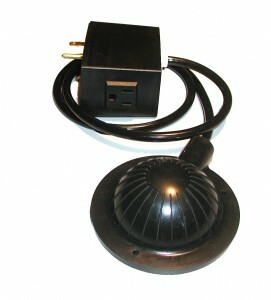 When pair with our air switch, the foot switch provides on/off power to the bathing system for a safe, non-electrical air activated foot switch. The air switch mounted to the wall within 8 feet of the system. The air tubing that leads to the foot pedal attaches to the air switch, creating a pneumatic switching mechanism. This also produces a hands free environment! Purchase the pneumatic foot switch extension cord online, or contact us! Presair offers a variety of different foot pedal and air switch options to meet your application requirements. Contact us for more information.